Shake your thang at this dance institution in Cali, Colombia’s capital of salsa. Surrounded by retro decor, you’d be forgiven for thinking you’ve shimmied back in time a decade or two, but what Tin Tin Deo lacks in gloss and glamour it makes up for with a sizzling dance floor. Even if you have two left feet, it’s well worth stopping by to watch the unspoken competition of twisting hips and fancy footwork, but it’s even better to give it a go yourself. Rustle up a partner and show off your skills, or grab a drink and play wallflower beneath pictures of salsa supremos. 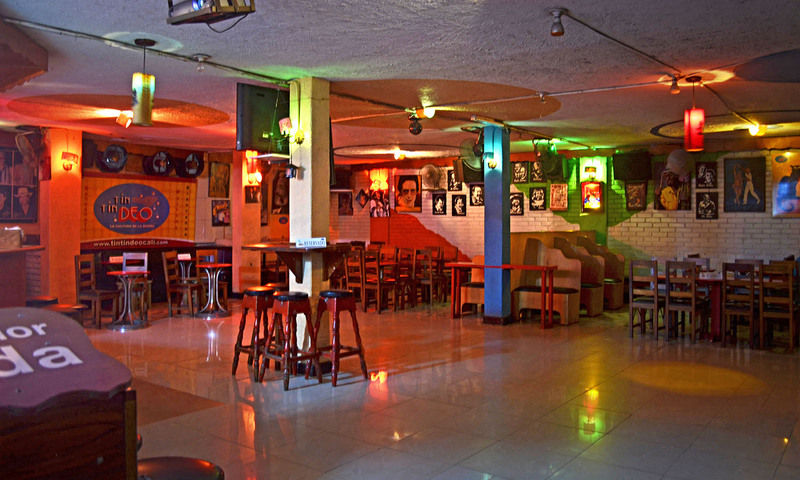 The establishment is popular with locals and travellers alike, so arrive before 11pm to claim some space. But remember, this is South America, so play it cool and stay scarce until at least 10pm. The very reasonable prices will have you dancing for joy, as will the free first drink included in the cover charge. Salsa dancing is easy, right? !